Summertime 2016! 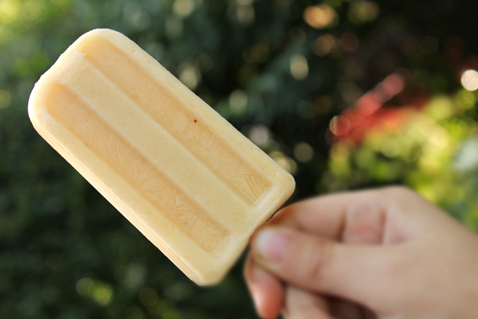 I’m ready to freeze food on a stick again, so allow me to occasionally “pop up” with popsicles throughout this summer. This year, I will acknowledge the list of hundreds of popsicles at Wit and Vinegar, which has been showcasing popsicles at the start of summer for a few years now. You know this vast file will inspire my popsicles for this summer. Again, I’m using the Progressive Freezer Pop Maker, which includes the base, cover, and wooden sticks to make 10 pops at a time. It’s easy and once you have it, there’s no excuse not to make pops. Let me tell you what I don’t want from a popsicle. I don’t want corn syrup or artificial colors. I don’t want too much sugar. (If I wanted these things, I’d buy popsicles in a box from the supermarket.) I don’t want much fuss. That’s it! Pour them, freeze them, and enjoy. What you’ll get is a refreshing combo of creamy and tart. Its just sweet enough and is as satisfying as a pancake. Really.